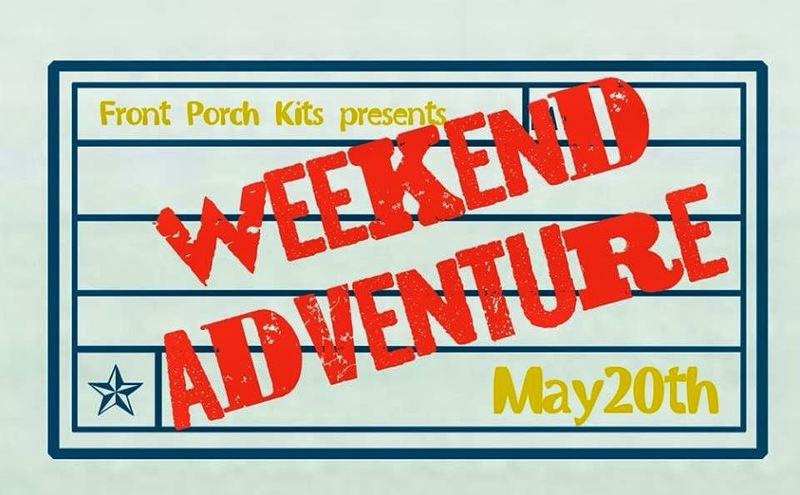 Weekend Adventure Front Porch Kit Reveal Time! Well, Tuesday has finally arrived! 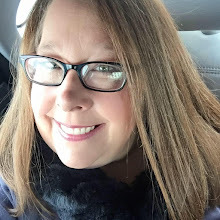 After a crazy weekend of soccer and then dragging myself yesterday and today to go teach 3rd grade, I can't wait 'til tomorrow to go take a fun Hazel and Ruby class at The Little Blue House and just relax with a little "me" time. I'll be sure to check out the new "gallery" up at the store with all the new projects from our latest FRONT PORCH KIT then, too. For now, let me show y'all what I made this time using the kit (and I used practically all of it for my projects!) I'll make this short and sweet and let the pictures of my projects speak for themselves. However, don't we all know how much better they look in real life? 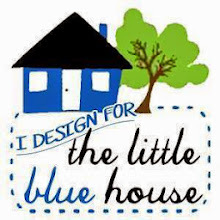 I'd love for y'all local peeps to go check all the designers' projects out in person at The Little Blue House in Keller--maybe I'll see y'all tomorrow! My first project is my favorite. A Maya Road chipboard camera book comes in the new Weekend Adventure Front Porch Kit. I had seen someone make a 3 dimensional camera box out of cardstock and a chipboard album on Pinterest (sorry, I couldn't find the original poster), and that's where I got the inspiration to make this one. The extra pages from the album are the loose "pages" inside the box and you can just pull them out to take a look at them. I have a few of them shown below. Also in the kit is some actual map paper. I happened to find this on my map and I had to point out the coolest town ever! It's apparently in California. This is prominently displayed on the front of the camera box! LOL! A few of the pages. The front and the back are decorated on each one. Here's a double page scrapbook layout I did, with a mishmash of pictures Eric and I took on our trip to South Carolina and Nashville two years ago. I love the Jillibean photo kraft cutout pieces from the kit and the wooden embellies are so cute! We love movie night at our house and I thought these colors/papers lent themselves to a fun "movie night" single scrapbook page. I have pictures that need to go on this already! The journal card and "fun" circle embellishments are stamped from the REVERSE CONFETTI stamp set included in the kit. The letters and popcorn box was cut from my Silhouette. So fun! After I had made all of the above projects, I had a few leftovers. The mojo was still flowing, so I made this easy peasy summertime banner. I can't wait to hang it somewhere in my new home! I just traced the outline of the banner shape onto the denim and cut it out. The twine was run through the hem of the jeans with a big embroidery needle to add those pieces to the banner. 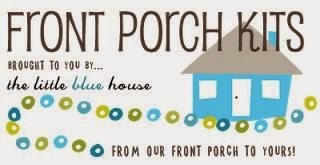 Ok, if y'all haven't already done so, you can order your "Weekend Adventure" Front Porch Kit by stopping by the Little Blue House in Keller, calling, or going online. Phone (817) 431-7930, or online @ www.thelittlebluehouseonline.com. ETA: I entered my two layouts into the Scrapbooking Rocks Challenge in the Moxie Fab World challenge in order to be eligible to win a spotlight on the blog, a Moxie Fab blog button, and a fun prize from the moxie magical prize drawer. May 29th is the last day to enter. Go HERE to take care of that! SUSIE Q-TIP: The little "adventure" word cutout from the kit (used in the banner above), was obviously too long to use on the banner without cutting it in half. Don't be afraid to alter words like this to fit a space on something you are creating. Remember that there are no rules, grammar or otherwise when making art! These are fantastic. I love your work Susan. 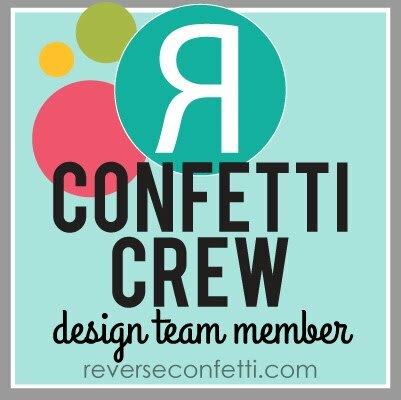 Love all the colorful eye candy, you really do fabulous work!! Every single thing here? Yeah? I'm swooning! What fun projects! I am especially loving the little mini, so many great details and embellishments, you really rocked this kit!